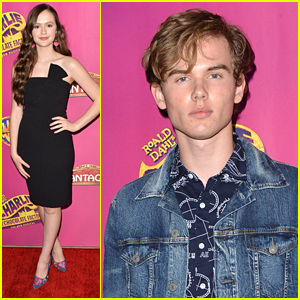 Kelli Berglund, Ryan McCartan & More Take The Diabetes Dance Dare – Watch Now! | Bradley Steven Perry, Diabetes Dance Dare, Jenna Ortega, Kelli Berglund, Nia Sioux, Ryan McCartan | Just Jared Jr.
Kelli Berglund, Ryan McCartan & More Take The Diabetes Dance Dare - Watch Now! 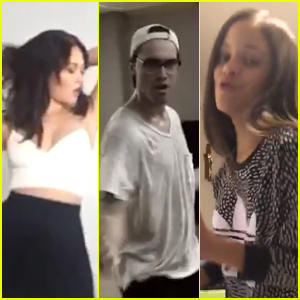 Kelli Berglund shows off her dance moves in this new Instagram video for the Diabetes Dance Dare. The 20-year-old actress took the challenge from co-star Bradley Steven Perry, who dared three people to dance to raise money for Diabetes awareness. Nia Sioux, Ryan McCartan, Jenna Ortega, Jane The Virgin‘s Diane Guerrero, Shaq and even Usher got in on the viral movement. 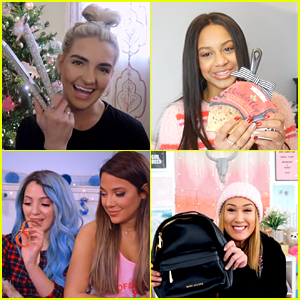 Check out all the videos below, make your own and donate NOW! I have accepted the #diabetesdancedare from @vickyjeudy @amdiabetesassn We challenge @arianagrande @hereisgina @anavillafaneofficial @cyndiramirez 23 hours to post your dance video because every 23 seconds a person is diagnosed with diabetes. I accept your challenge @niasioux ! And I challenge @ddkaz , @kendallvertes , and @camrynnbridges to the #diabetesdancedare ??? ?// 1.4 million Americans are diagnosed with diabetes each year!!! ??? ?Dance And Donate!!! @amdiabetesassn !!!???????? song: star in your own life! By: @niasioux ??? ?// @dancemomholly// video creds: @abbas_girl ????? 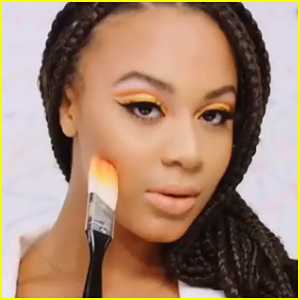 Nia Sioux Makes 'Moves' With James Charles' New Makeup Palette in Stunning New Video - Watch!